“Dorothy The Organizer®” is America’s Most Innovative Professional Organizer. 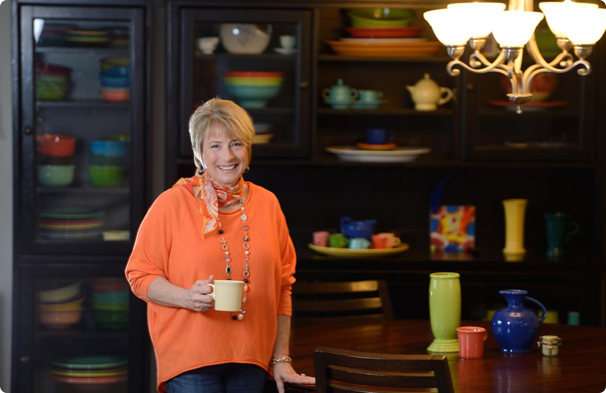 Known to millions as the fearless-yet-endearing problem solver on the Emmy-nominated TV show on A&E, “Hoarders.” Dorothy is also the best-selling author of five books, including her latest, Stuff Your Face or Face Your Stuff. Owner of three companies, Dorothy is the creator of the “Cancer Concierge®” on-line video system which helps individuals conquer their clutter in a pleasing and fun way, as well as the most trusted cloud based system, “Digital Lifecloud®,” and her own “DorothyTheOrganizer®” Professional Organizing Services. Dorothy is a member and lecturer for the National Association of Professional Organizers (past national board member and past Los Angeles President) and Institute for Challenging Disorganization and is a highly sought-after international speaker who energizes and inspires her audiences to produce results and take immediate action. Dorothy is also a spokesperson, contributor and influencer for Zillow.com, Huffington Post, NetNanny.com, Sparefoot.com, 1800Flowers.com, and Microsoft.